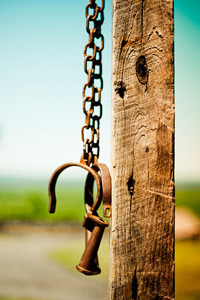 Interesting blog(s.) I want to ask about this problem you have with mitzvoth – do you find it easier over time to mess-up a mitzvoth and not feel concerned – or are you shackled by your beliefs? I spent ten months at Aish HaTorah in Jerusalem. I was really enjoying my time there, and the learning, until Discovery seminar (proofs) which upset me a lot. I knew somehow these proofs could not be real – but they scared me nonetheless. I see now how most of the proofs are bad. But I also think, for instance, that the Purim proof is a bit creepy. Anyway, I took on mitzvoth and now want to shed the whole thing – only I feel some fear. I wish I had never been exposed to frum Judaism – it has really messed up my head. I used to believe in G-d in a simple, secular, way. Now I don’t know what to think. Life was much easier in terms of questions around “purpose” and “meaning” before I was whisked away by Yiddishkeit, and then jumped out with great difficulty. I used to think Judaism was the best religion, before I experienced the Orthodox version of it. do you find it easier over time to mess-up a mitzvoth and not feel concerned – or are you shackled by your beliefs? I do find it easier, though when I get flustered by this or that "mitzvah mishap", it really has nothing to do with beliefs. It's more like accidentally running a stop sign - even if you knew there were no cars around (no danger to safety), and no police watching (no danger of punishment), it still feels "wrong" somehow. I'm really sorry to hear that. I know it's hard to shake something once you've got it stuck in your head, and I can understand the fear associated with it. But it helps if you can realize/remind yourself that the fear is coming out of superstition. And over time, you'll overcome it. You didn't mention why you now want to shed the whole thing. But I hope that if being connected to Torah and observance is something you see value in and get inspiration and enjoyment from, that you can find a place/community in which to do that. It's true that it's not so easy to find a frum community that doesn't also come with problematic baggage, but then again every community is like that, so at the end of the day we end up picking the poison we're willing to live with. And that choice is different for everyone. I suppose what I'm trying to do is cultivate a way of thinking that minimizes the "poison" and brings out the best of Judaism. I don't see why we need to settle for second best! If you'd like to discuss this offline, feel free to email me at atheodox@gmail.com. I found reading academic views of how the Torah came into existence and debunking proofs they gave us at Aish helpful. What you do – incredible to me. Not believing in G-d also – that is where I “draw the line” in some way. I always figured there is something more, and that maybe the Bible even had some crazy mystery at the heart of it – not that the religious folks got it right, just that there might be something in there that is divinely inspired. Did a reading of Genesis ever make you wonder? At Aish they certainly got me going with Gerald Schroeder lectures, and his books. Second, did you ever find the proofs compelling – like the Purim proof that has the ten Nazis hanged at Nuremberg recapitulating the hanging of Haman’s sons? Again, is Megilah Esther historical – I guess not. And yes, there are a few variations of small letters depending on which megilah you read – but still. It seemed creepy. Finally, even though I see how the Bible is like a lot of treaties, etc. from the era in which it was written – the Bible always strikes me as much better written than the treaties. More poetic, compelling, affecting, memorable. Any reflections on this stuff appreciated. It may not be stuff you have really gotten into – but as a formerly Aish-ed guy who also spent time in Discovery seminars – it got to me. Not believing in G-d also – that is where I “draw the line” in some way. Incidentally, when I call myself an atheist, I mean in the literal sense of being "without God". God is not on my mind, doesn't enter my day-to-day existence. Whether or not God actually exists is another question. I do hold out the possibility that there's some greater intelligence, maybe even a Creator. There's no doubt in my mind that new surprises await which will make us have to change the way we look at things in some basic way. But will it be "God" in any traditional/religious sense? That I'm pretty dubious of. I make a fairly sharp distinction between God as "higher intelligence" and God as the deity depicted in the Torah - speaking to people, making miracles, killing lots of people, expecting us to do this, not do that, etc. The first I see as a reasonable belief (even though it lacks evidence). The second however I see as completely unreasonable, for reasons I pointed out in my other blog. I used to take an "alternative" view, that it's not like most religious Jews believe, yet there was something "unusual" that happened in the desert, and particularly with the Ark of the Covenant - some sort of strange, ancient technology we discovered/encountered. Like for instance, the idea that what the Torah refers to as "aish" (fire) is really some sort of electrical phenomenon, a kind of energy. I had a number of speculations as to what that might be, and how the mitzvot were "technologies" for harnessing or protecting against this "energy". And I wanted to do research to "rediscover" what this technology was about. I used to listen to programs like the Art Bell Show/Coast-to-Coast radio, to try to glean info about "free energy", chi/human aura, and other alternative theories. It was creative thinking to be sure, but at the end of the day I realized it was no more than wild speculation, one which I'd probably never make substantial headway in, and continuing to think this way would simply make me another one of the many "crackpots" out there with crazy theories. At the same time, I found myself drawn to learn subjects like physics, biology, chemistry - science that's grounded in reality, as opposed to unsubstantiated speculation. And I began watching videos from James Randi and Derren Brown, illusionists from whom I learned how easy it is to make something appear to be "supernatural", and to persuade others to believe in that, when really there is a simple, down-to-earth explanation. And I've found that I much prefer taking a skeptical approach - not as a die-hard, cranky skeptic who's closed off to the possibility that there's anything "more" out there, but someone who when I come across something "unusual", I assume with 99% certainty that there's something else going on which is not in any way "paranormal" or "supernatural". I still leave open that 1%, but extraordinary claims require extraordinary evidence, so the burden of proof is on the one who wants to make such a claim. Once I adopted this position, I found that so much of what I was carrying on my shoulders - things I "needed" to believe were real - just melted away. I had nothing more to "prove". I could just live with a healthy curiosity about what's out there, being in awe of the world, appreciating what we know and being honest about what we don't know, and evaluating people's theories and claims with much more of a clear head - and it's been truly liberating! Gotta go - I know I didn't respond about Genesis, Discovery, proofs, etc. I'll get into that when I have a free moment. Did you ever find yourself wondering about Genesis? I can't tell you how much time I've spent poring over the Creation story, every word of it, looking for patterns. I don't know if you've ever seen Meru's work, but they've done some fascinating studies. I attended a Discovery seminar around 20 yrs ago. They make a persuasive presentation - they come off very charismatic and knowledgeable, and most people lack the proper training to be able to critically evaluate the content. When a physicist is standing in front of you discussing physics, you take what they say more or less on authority. Same thing with codes - you take the statistical probability and methodology on authority. Before Discovery, I had already had some profound and enriching experiences with Judaism, and none of what attracted me was built on the notion of a "proof". The depth of Torah itself, the enjoyment of Shabbat and other observances, the kindness, sincerity and high quality of character of observant families and individuals - it wasn't a preponderance of "evidence" per se but a preponderance of so much great content that I very much wanted "in". So by the time I attended Discovery, it was interesting - and yes, even a bit "creepy" as you say, but it didn't really affect me either way. Did you need to “work through” the proofs as part of distancing yourself from ikkurim about Judaism? Not really. Over the years I've periodically investigated this or that proof, and read various critical responses (e.g. replication of the codes in other literature), so I stopped taking them seriously. But what about Meru's patterns? What about other "proofs" that haven't been so well refuted? I suppose I just file them away as "unsolved" anomalies. It could be as simple as the idea that if you look around texts long enough, you'll eventually find patterns. As for the "low probability", it strikes me like finding a rock on the sidewalk, and then saying, "What are the chances of a rock of exactly this size, shape and color, being located in exactly this city, exactly this block, exactly this spot on the sidewalk, at exactly this time? Infinitesimally small!" So in distancing myself from beliefs, it wasn't so much a matter of getting away from "proofs" but from the notion of a Divine Torah, from the idea of Hashem watching and acting in the world, and really having it sink in that when I'm davening, it's something that ONLY has internal/personal value - that I'm not "causing" anything to happen, not "persuading" God to act. The truth is, I still occasionally "talk to God" when davening, but it's in the same way that a person might talk to a deceased relative at a gravesite - it's just a natural thing to do, even if intellectually you don't think anyone is really out there listening. I really haven't studied other ancient texts to know how different the Torah is from anything else. But whether the Torah is vastly superior, or other works of equal depth are out there, I have a special connection with Torah. It's "my book". I gravitate to it, keep going back to it, trying to unearth layers of meaning. It's a crazy kind of love affair. And it doesn't matter to me where the book came from or who wrote it exactly (though I'd be curious to know). It doesn't matter to me whether Avraham or Moshe ever existed (though I'd be curious to know). It's enough that Torah is in my blood - sometimes I resonate with it, and sometimes I disagree with it and it drives me absolutely nuts. But I wouldn't want to be without it - Tanach, Chazal, Rishonim, thinkers through the ages, people I discuss with and learn from today - the whole lot of it! Did I answer your questions? If not, feel free to rephrase and I'll try again. It sounds like we are different (fine of course.) You saw something in Judaism that attracted you – you wanted in. My weirdness is I saw something – a cult like something – that was also quite amazing and beautiful. But I didn’t want in. Everybody is different. I didn’t want to join – even though I liked what I saw. I saw it as great, but also full of strangeness and self-deception. I also felt kiruv was a form of brain washing. Of course I knew many who became frum, and am still friends with them. Discovery and Schroeder were the things that made me feel I had to do this – because it was all real. What I’m left with is doubt – but I can only work on it. What you have managed to do is mind-boggling to me. I hope you keep explaining it here. For me, it would be really unbearable to go “all in” with people you believe are kind of deluded. I can’t really understand the fulfillment in that. I would be constantly torn by my need to leave and my enjoyment of the culture. I guess, in a way, you are the next step after the James Kugel Jew. He can show Torah is from man, but still is fully halachic, and believes there is some divinity in the text. Of course Kugel is out of the closet. Are there really a bunch of folks like you? Can halachah really survive atheism? That’s a whole other kind of Jew. Takes a special kind of mindset. There ARE cult-like aspects to Orthodox Judaism, and to kiruv (see e.g. this exposition, p. 8-9). The very fact that one would feel the need to suppress their natural common sense and reason and believe in X, Y and Z in order to be deemed "acceptable" is itself cult-like. But the Orthodox world itself is too multifaceted, heterogeneous and loosely connected to be broadly painted as a cult. It is certainly a "cult-ure", with its own set of proprietary norms and taboos, and which tends to view itself as "superior" to others (as do many cultures and ideologies). I for one reject the notion that Judaism is the "correct" way. I believe all religions and cultures have within them deep truths, as well as deeply problematic, dangerous, cult-like components. Some are more dangerous than others, to be sure. But Judaism happens to be my culture, my people's very ancient culture, and I resonate with it, feel "at home" with it, in a way I will probably never feel elsewhere. So I can appreciate and not denigrate other cultures, and yet "identify" with Judaism. And I can also live and construct a Judaism that as much as possible separates "cult" from culture. For me, it would be really unbearable to go “all in” with people you believe are kind of deluded. Great point here, and indeed this is a tension that I live with. The key word is "unbearable". If it were unbearable, I would leave. But like any situation, we weigh (often unconsciously) the costs and benefits, the things that fulfill and the things that drive us crazy, and then we make life choices accordingly. Admittedly, sometimes the "choice" process is stilted by inertia, habit and circumstances - such that a person finds themselves "stuck". But again, any time we make major life decisions - getting married, moving to a new city, starting a course of study, etc., in a sense it is a decision to be "stuck" there, place down roots there. And there will be good things about it, and not-good things. And if not-good things come to predominate over time, we hope that we possess the strength (and circumstances) to allow us to change course. Are there really a bunch of folks like you? Can halachah really survive atheism? 'Yes' on the first question, 'I don't know' on the second. Part of me thinks people are far too dependent on belief in the supernatural and wouldn't otherwise be sufficiently motivated to practice Judaism or learn Torah. But part of me insists on being an idealist and trying to achieve the best of both worlds - a robust, "immersive" Jewish identity and experience, of the kind which is offered by traditional observance and learning, coupled with a zero-dogma, zero-cult, intellectually honest, free-thinking approach. I know we're coming from very different places, but just out of curiosity, if you had access to a Jewish community like that, would it be something you'd want to check out? You’re basically asking: if everything unreasonable, unreliable, irrational, and unbelievable was removed from a Torah living community comprised of members who sweated halacha as much as anything in their lives – would it be an interesting and congenial place to live? It certainly would be interesting. And as long as belief in G-d was permitted – it would be a great experiment. But I personally believe it would drive the weaker minded among us insane pretty quickly. Because once you remove the irrational beliefs, how could you remain committed to irrational parts of halacha? It would probably turn into a kind of Catholicism. We would stop gathering three times a day to pray (who has time for that? And why these prayers? Boring…) But we would still get together for bris and bar mitzvah and chupah. Still we would wince at all the strange rituals. It could devolve into witchcraft. Anyway – I will continue to read your blogs. Good luck with this project. I hope you do get such a community off the ground. Would really be something. What would also really be something is if people with beliefs like yours could come out of hiding in the orthodox community - and continue to live there and participate. This is a great point. One of my gripes with "skeptic" communities is that there is often just as much communal pressure about what a person "should think/believe" as there is in religious communities, whereby those who don't toe the line end up being mocked, condescended to and ultimately excluded. My "Atheodox" blogs serve a specific function - to make the case for non-belief as a viable, sensible, even idealistic option for a Torah Jew. But it has the wrong "branding" for a community, since the atheism component clearly has the capacity to push away people who believe in God. That's why I'm not inclined to "come out" in these blogs. once you remove the irrational beliefs, how could you remain committed to irrational parts of halacha? A very good question. For me, belief and practice are relatively separable. For instance, I don't have to believe that God wants me to build a Sukkah (or that the Israelites dwelt in Sukkas in the desert for that matter) to enjoy building and hanging out in the Sukkah each year. I don't have to believe that God wants me to rid my house of Chametz (or that eating it will incur spiritual "karet") to want to clean for Pesach and celebrate the holiday in the manner prescribed by Halacha. Really, it's the "irrational" practices which give Jewish life its own distinct rhythm, flavor and identity. Rituals which we go back to at specific intervals are part of the richness of life, and certainly an important/memorable part of childhood. That said, I would distinguish between "irrational-enjoyable" and "irrational-unpleasant", and also "irrational-neutral" and "irrational-immoral". If you take out the theological imperative, a ritual which is unduly bothersome or unpleasant to a person will likely just get dropped, or possibly "customized" to make it more palatable. And that's perfectly ok. You mentioned prayer - that's something which would undoubtedly be more relevant to some people than others. However the idea of taking time out of day-to-day life to focus on something higher, and coming together as a community - these are things which I think most people can see the value in and want to perpetuate. Regarding any institutionalized Jewish practices that are potentially immoral/unethical (e.g. inequality of women, waving chickens during kapparot, etc. ), people who don't believe these things are Divinely commanded or have metaphysical ramifications will simply abolish such practices. And I see that as a positive development! What will remain then are practices that we enjoy and which resonate with our conscience - which for many people could easily comprise most of traditional observance. But we would still get together for bris and bar mitzvah and chupah. Still we would wince at all the strange rituals. I know a lot of frum people who wince at a bris - typically the parents of the baby! Personally what makes me wince is not the rituals - it's the beliefs people attach to them. That's where I feel alienated, alone in the crowd. It could devolve into witchcraft. You think so? I'm not sure I understand how. Good luck with this project. I hope you do get such a community off the ground. Would really be something. Thanks for the good wishes, and the good conversation! Just to revisit my comment on halachic ritual turning into “witchcraft.” I think if you take G-d out of the irrational halacha, you leave a space for other interpretations to emerge. The masorah could evolve. Kiddush on shabbos could turn into something having to do with protection from “bad luck” for example. People may fill the “G-d space” with things that surprise you. Interesting point about filling in spaces. I certainly hope not!